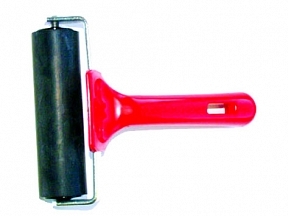 Application rollers are a useful accessory when applying various vinyl prints. Rollers are particularly useful when applying floor prints. Due to the nature of them rolling over the surface rather than sliding like squeegees, you are less likely to damage or scratch the surfaces of your graphics.